Education in Ireland, in cooperation with the Embassy of Ireland Beijing, the Consulate of Ireland Shanghai and the Consulate of Ireland Hong Kong, will be hosting pre-departure sessions across China for both confirmed and potential students. The briefing sessions will offer some practical information on visas, what to do upon arrival, travelling and touring in Ireland, accommodation, and many other aspects of living in and settling into Irish life. The event will also be a chance to meet other incoming students, Alumni of Irish institutions, and lots of friendly staff from Ireland. 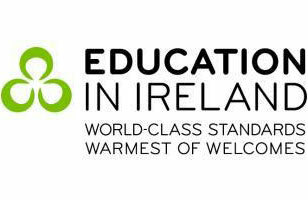 Education in Ireland are delighted to be joined by Hainan Airlines and Shanghai Pudong Development Bank for the Beijing, Shanghai, Nanjing and Xi’an events. Information on Hainan’s new direct route from Beijing to Dublin will be available as well as prizes and discounted flight options. SPD Bank will also provide information and tips on financial matters for studying overseas. It will also be an opportunity for students and their parents to learn about Ireland and its Higher Education offering, and also to meet the China representatives of the Irish Institutions. Successful winners of Claddagh Scholarships will also be presented with their awards at the briefings. • Hongkong： 9th Jul 18:00-20:00，Consulate General of Ireland, Hong Kong 20/F, 33 Des Voeux Road, Central, Hong Kong. Thank you for Registering, an official invitation will be emailed to you before the event.